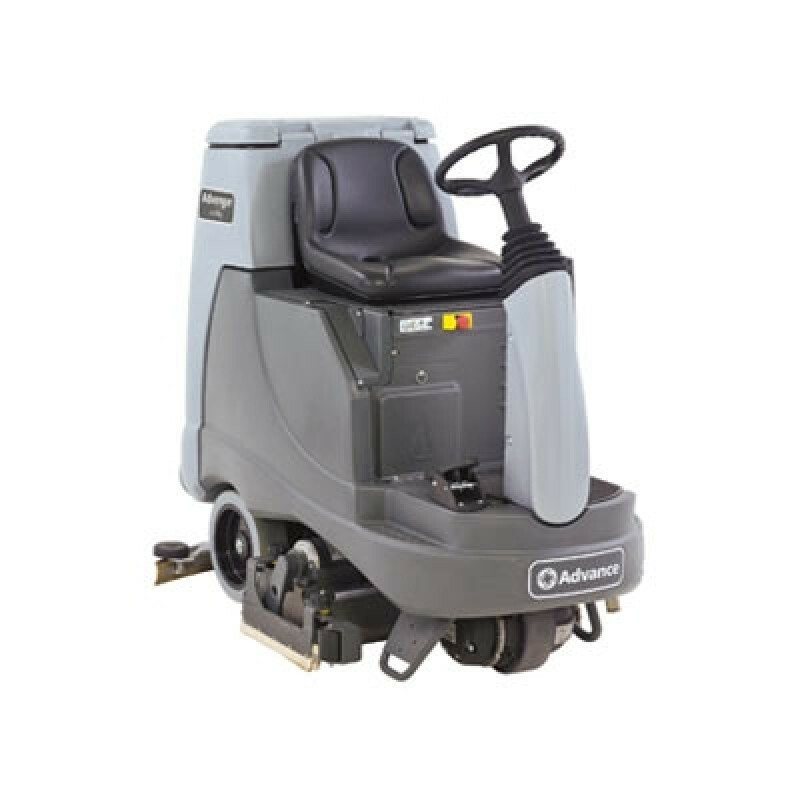 The Advance Advenger is an auto scrubber with a 28 inch scrubbing path, a large 28 inch solution tank, and two revolutionary systems that combines versatility, productivity and sustainability into one simple package. REV technology scrubs and remove floor finish in one single path while saving you water and solution. This is accomplished though random orbital scrubbing that has ¼-inch micro rotational scrubbing added to the rotational scrubbing. The REV action scrubs deeper and more uniformly to give you a floor that is amazing with no rotation marks. Advance has also incorporated an EcoFlex onboard detergent-dispensing system that will also help you save on water and detergent. It is now easy to quickly adjust chemical distribution to equal the performance to the soil on the floor. EcoFlex controls the use of water, detergent and energy without compromising scrubbing performance. For those areas that need a little extra scrubbing, the operator can activate a “burst of power” for extra cleaning power and then easily return to the original settings for minimum usage of water, detergent and power. The Advenger also features easy access to the rider compartment and has great sight lines to the floor and surrounding areas, making this a safe and user-friendly unit to drive. The unit is easy to maneuver while also is agile enough to clean hard-to-reach areas. 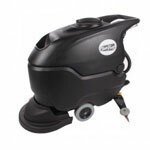 For other options and sizes, feel free to look at our Advance ride on scrubbers and walk behind floor scrubbers. EcoFlex System allows effortless switching between water-only cleaning or different cleaning intensities. 80 lbs, 125 lbs., 175 lbs.